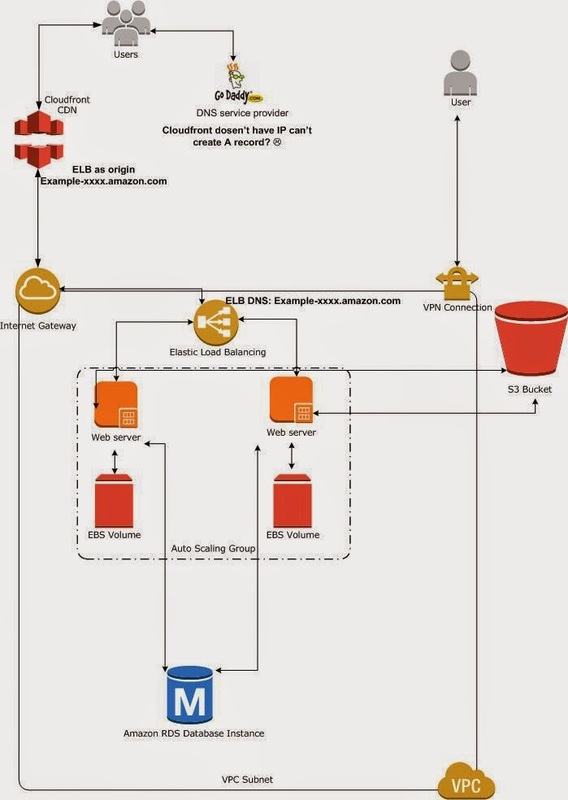 I was not able to find any interactive and useful article on Internet for DNS entry modification when we use Cloudfront and AWS Elastic load balancer therefore i decided to write little bit about it for new amazonian administrators. Hear is the scenario, I have deployed a web-server with an elastic IP address (Public IP) and i have created A Record in GoDaddy for Webserver IP address (A Record: www.example.com = 200.168.20.58). Everything works well and users can access my website through HTTP port 80. 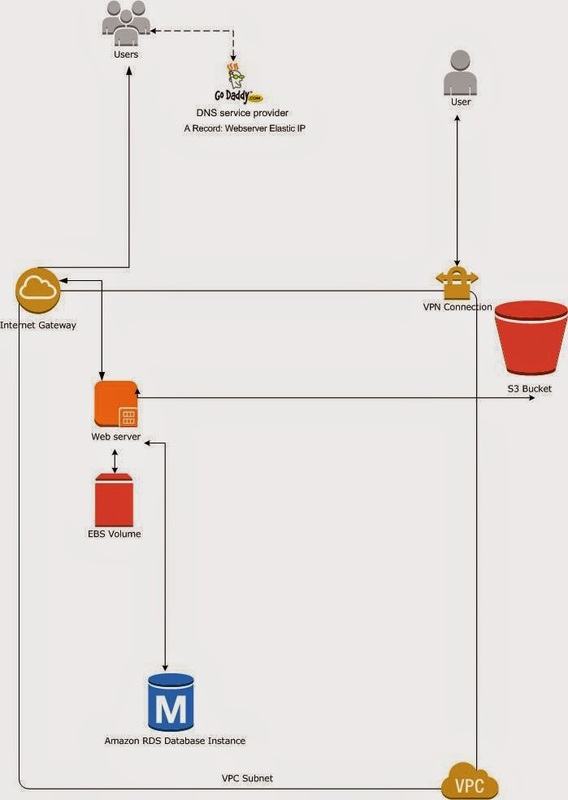 In order to fulfill above requirement i have created an autoscaling group for webserver with Load balancer . To implement HTTPS in web traffic i have purchased SSL certificate from GoDaddy with *.example.com and installed certificate in Load balancer. In order to to provide fast content delivery I have implemented Cloudfront CDN for my web application. and i have configured ELB's DNS as CDN origin. Everything seems to be A OK...So whats the issue?? The issue is we can not create A RECORD in DNS service with domain name we need IP address. so now the solution is we have to create CNAME of cloudfront in Godaddy. Now all the Internet users will be directed to CDN edge for faster web content access instead of slow and far webserver. It shows this error because i purchased this certificate for *.example.com domain but when i installed this certificate in AWS ELB. ELB gave me its random domain name (example-xxxxx.amazon.com) therefore certificate is showing above mentioned error. To resolve this issue we have to create one more CNAME for loadbalancer (CNAME: elb.example.com = example-xxxxx.amazon.com) and then add elb.example.com as origin in Cloudfront settings. Now the DNS entry with architecture looks like follows. 3) user request to http://xxxxxx.cloudfront.net for website request. 4) cloudfront response to user (SNI) for http ot https redirection. 5) user request as https://www.example.com to cloudfront. 9) cloudfront cache will deliver webpage to user. Any next requests for the same page will be delivered directly from cloudfront.